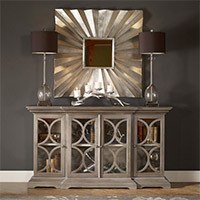 Mirrors are a necessity and yet, they qualify as solely aesthetic additions to the room’s décor. 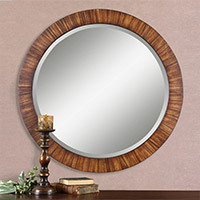 When used judiciously, mirrors can help you accentuate a room’s décor, highlight its best features, camouflage & hide the drawbacks, and add a sense of space, making the interiors look bigger. 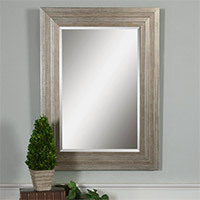 When placed at strategic angles, a well-placed mirror can create a fine interplay of reflections and shadows that make the ambience look more fashionable. 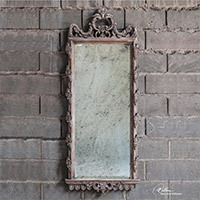 We are home décor artisans, providing the most comprehensive range of home décor mirrors, including those that help to create a visual impact in the room and infuse a sense of exuberance. 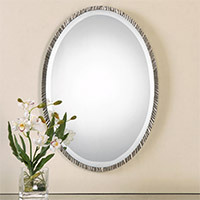 We have framed and frameless mirrors that can help you create a more relaxing ambience and create eye-catching impressions. 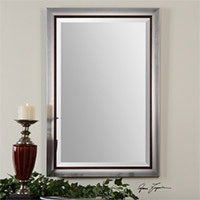 We have carefully selected Bathroom, Oval, Rectangular, Round, Square, and Wall Mirrors. 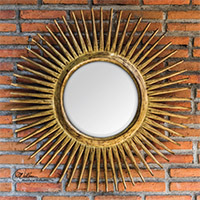 Geometrically perfected, these symmetrical designer mirrors can instantly facelift the décor—whether traditionally or contemporarily themed!